Super Big Foot cane tip is big on safety and convenience. Simply slip on your own cane — its 6 big feet flex to grip surfaces as you walk. The 6-foot design also helps your cane stand on its own when you’re at rest, so no more worries about dropping or losing your cane. Walking stick tip measures 4 1/2”dia. x 3”H tip. 11/16”dia. opening fits most standard aluminum canes up to 3/4”dia. 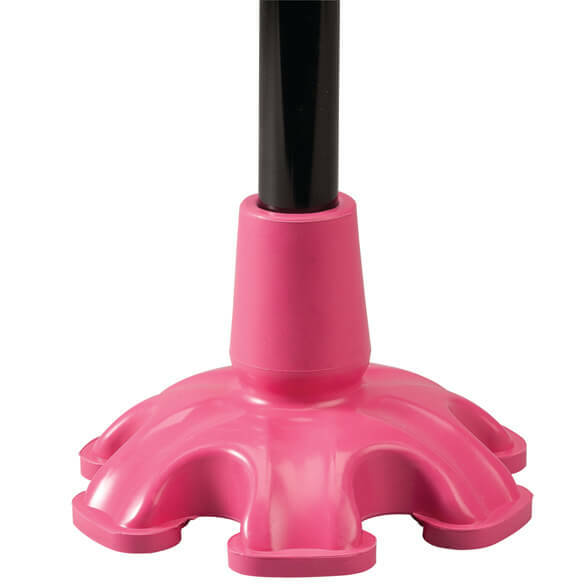 Available in pink or black to complement any cane design. It is very heavy it won't work on my cane standard cane. I like your products generally but this was given away I'll have to find one at medical store that will fit. Turned my cane from one I had to hold onto into a stand up. I have really enjoyed this foot, because it stands alone. I don't have to be constantly picking it up off floor. My cane needs this stability. my cane keeps falling, i'm hope this will help. Need more support for my cane. 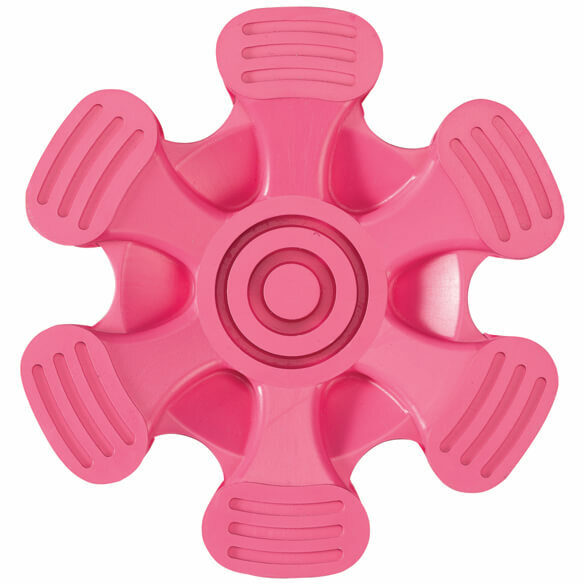 The item will help me with my balance while standing and walking. Hoping the larger size will offer more stability. So I can find my cane better. Would like a pink one for a change. wore my old one out. 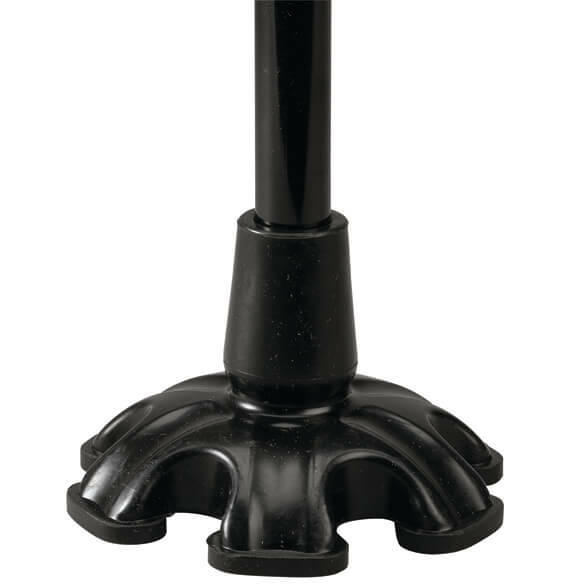 I have purchased this product before and it is a superior cane tip. 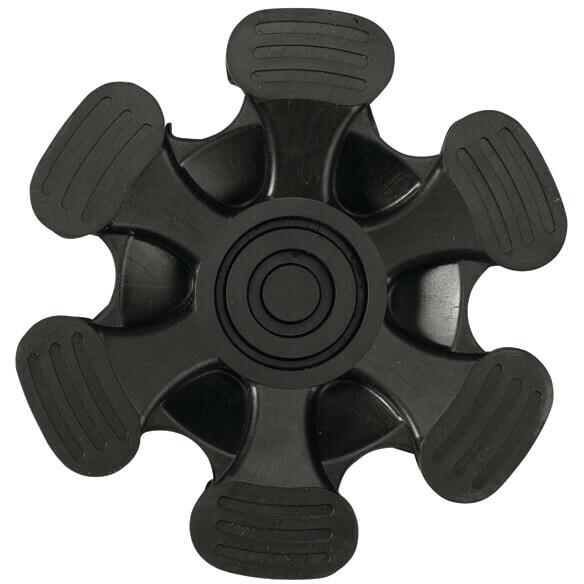 very sturdy and durable. THE LARGER CANE TIP FOR BETTER STABILITY.